Having been swamped at work for months, I wasn’t able to do any research on what mom and I would actually be doing in Osaka for our 2 day extension. Good thing internet at the hotels where we stayed were great. 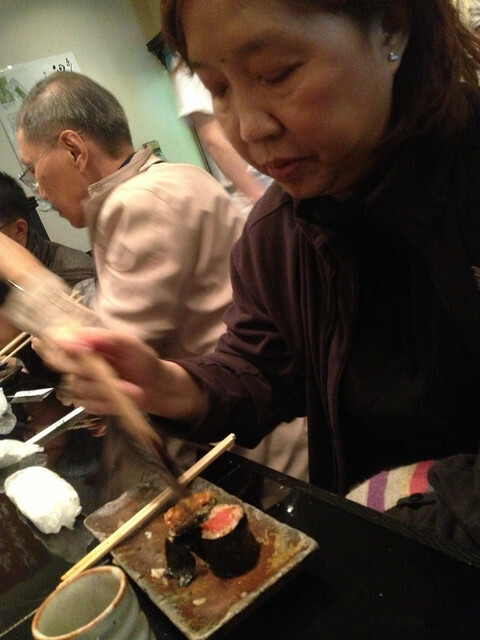 The day before we were to transfer to Hotel New Otani, I surfed a little and found Endo Sushi recommended by Tabemasu. I initially wanted to visit Osaka’s wholesale fish market since I heard it is comparable to Tokyo’s Tsukiji market which I missed during my last visit to Japan a few years back. Unfortunately, we were definitely tired from the previous day’s activity so we ended out trying their Kyobashi branch. I was intrigued by this little sushi-ya as Endo Sushi has been in existence for more than a hundred years (est. in 1907). How could you go wrong, right? 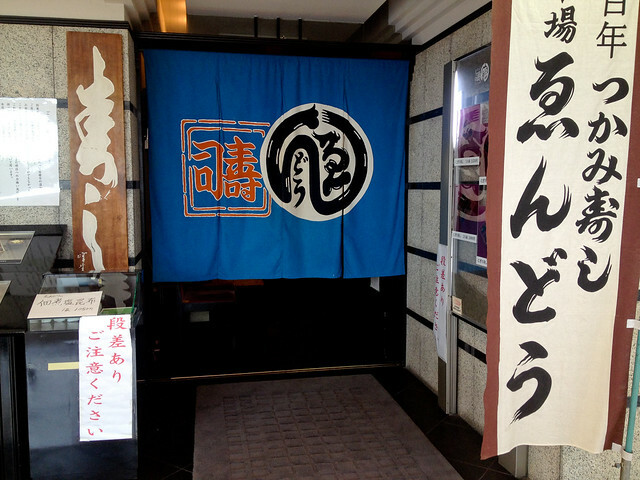 If we wanted to try the most authentic and best sushi in Osaka, this restaurant would definitely be it. Since we had a full day itinerary ahead, we decided to have our sushis for breakfast at their Kyobashi branch instead of their original location at the Osaka Wholesale Fish Market. We were out the hotel by 930AM and on the way to Kyobashi Station via train. We walked a little going to Keihan Shopping Mall where the Endo Sushi branch was located. The menus were all in Japanese though there were pictures for you to choose you order. We decided to sit in the bar counter to be able to clearly see the sushi master do his craft. 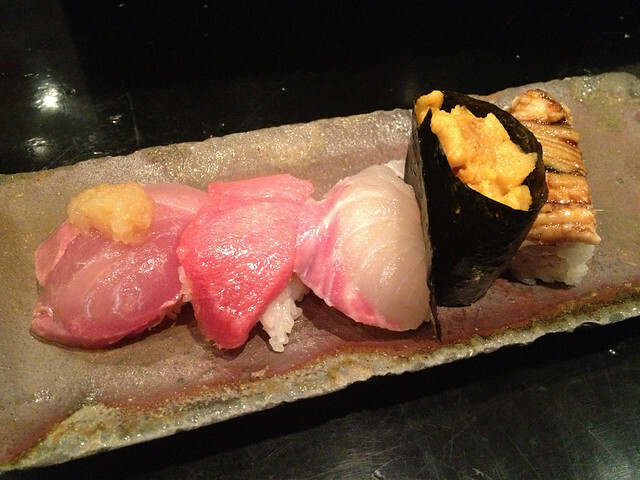 “Omakase, Onegai Shimasu!” Out came this sushi plate with 5 different varieties chosen by the sushi master. I ordered 2 orders each for mom and I. 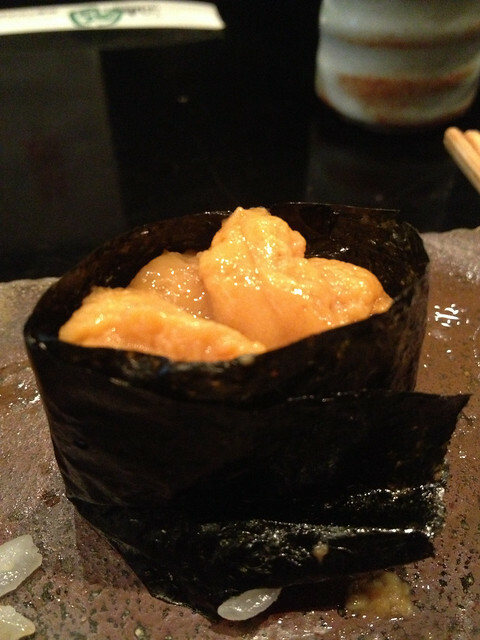 Especially loved the uni sushi and the toki sushi. Brush the tops of the sushi lightly with the brush dipped in shoyu. No need to ask for wasabi as the sushi master has put some already with your sushi. With how fresh the food is, there definitely is no need for wasabi. 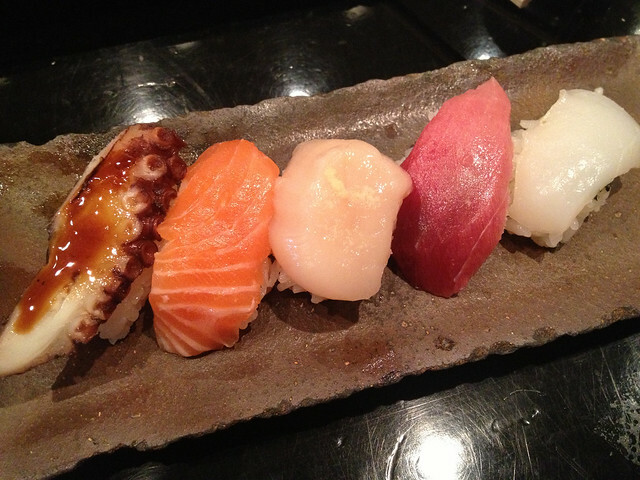 You can order as much Omakase as you like. With 2 plates plus a few more pieces from my mom, I was full. Our total bill for 3 sushi plates was Y3150.00. Great price for great food!